This Distillery project is set in a spectacular rural backdrop, in Lagg on the Isle of Arran. 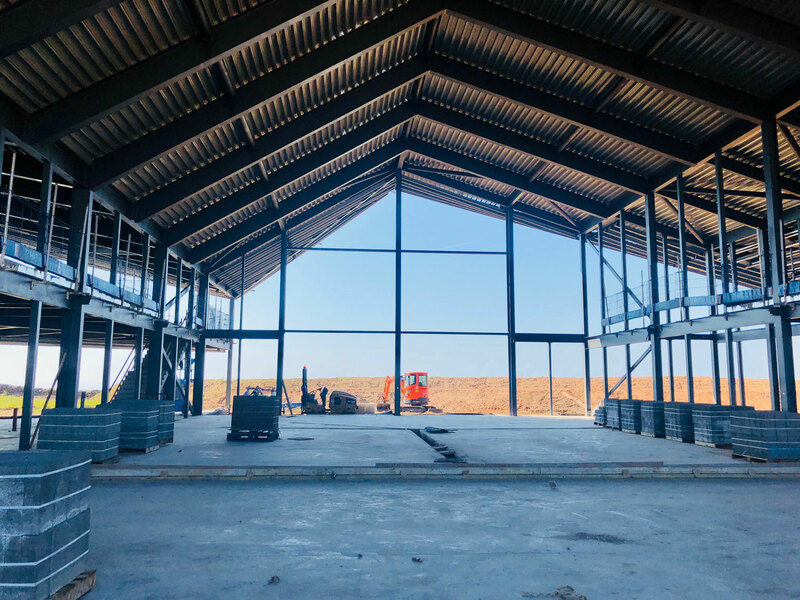 Having out grown their existing facility in Lochcranza, coupled with the increasing demand, has led to the development of this standalone new distillery, visitor centre and much needed additional warehouse storage, for the whisky maturation. The design proposals comprise of a state of the art distillery with integrated visitor centre, all combined under one roof. 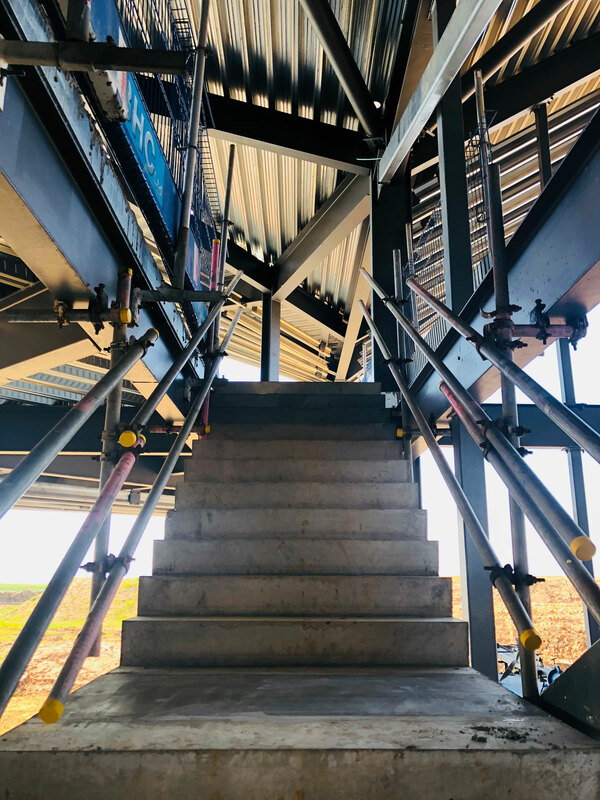 The intricate geometry of the 2 storey building led to a steelwork frame being developed which allows for the formation of the complex roof and floor spaces as well as integrating the façade treatments. The sedum green roof which commences from ground level to mimic the natural topography, rises up into its undulating profile, configured to reflect the landscape of the Isle of Arran, specifically Goatfell. 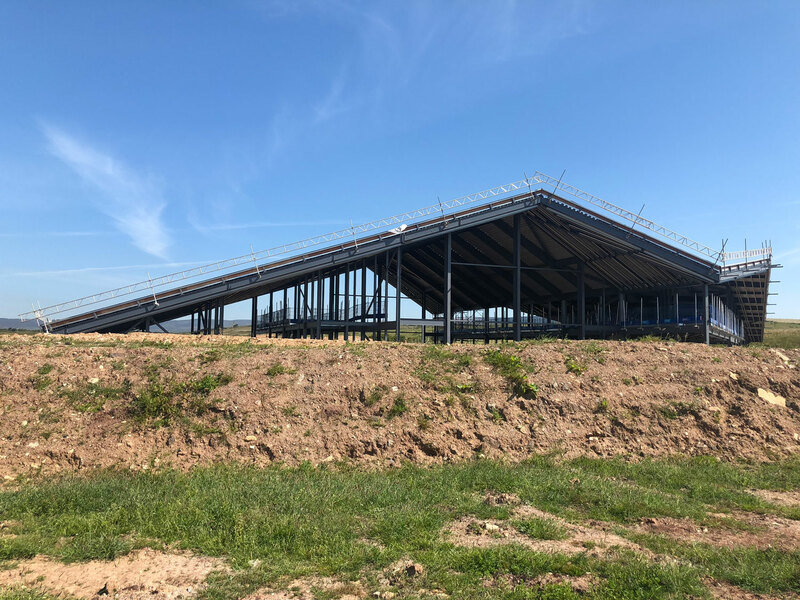 The building houses the distillery, retail and storage areas at ground floor level, with a mezzanine floor providing bar, restaurant and back of house facilities. Substructure was relatively straightforward in that the shallow rock provided the natural bearing for simple concrete pad foundations. The elevations of the building are formed in a combination of natural stone, curtain wall glazing and textured precast concrete panels, each having differing support requirements due to their size and exposed nature, due to the hillside location. Adjacent to the main building, 6 steel portal framed bonded warehouses were constructed into the sloping site, served by new access roads. The drainage involved a complex ‘SUDS’ scheme which incorporated the design of a reed bed and suds pond, for treatment and accommodation of the surface water run off.